Using twitter? Then you’d better understand the twitter list. There is a new currency in town and its called a Twitter list. If you want to win followers and influence tweeters than you’d better understand the impact a twitter list is going have on the twittering ecosystem. A twitter list is a relatively new feature to Twitter. It allows you to segment your followers into a special group. It’s a bit tedious to set up but very useful. Hootsuite which I suspect would be better for managing multiple twitter accounts on behalf of clients. Tweetdeck and Hootsuite recently incorporated Twitter lists into their own offering. But the rapid succession of adding twitter lists to their offering raised some alarm bells for me. If you are interested in twitter influence, then you should be looking to get onto powerful twitter lists. You might create one yourself but like a blog needs comments, a twitter list needs followers. The powerful lists will be the ones people follow. And the list is just one person’s perspective of who represents that segment. 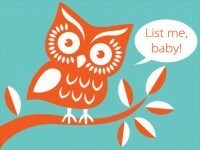 For now – I’ve seen mostly local or national based subject matter lists. But I expect to see definitive segments on niche topics. And I expect gaining entry to a list will get harder in the future. Its not just about gaining followers anymore. Its about getting yourself on a power list. I’m still a list virgin but my intention is to get on a number lists – right now I’m on a number of Toronto based social media lists but I’m grateful to also be on some non-profit social media lists. Any sort of freelance, independent, subject matter or consultant should be looking a diversification. The metric of how many people follow you is confused. It’s just one metric in a sea of bad or highly fragmented twitter measurements, but it is confused now as you could have 100 followers but be on 10 powerful lists that are followed by double digit people. In searching for a list, keep eye for how many people now follow the list. Seeking who to follow is watered down by looking for the right list. In some situations, I will just rely on a number of people who I follow and use their created lists. It’s the kind of ‘I trust people I know’ that will make social search rocket. That makes power be to the owner of the list. It is a painful process to go thru a long list of followers and segment them. I expect that the lists owners may become rather protective of who is on the list. And so list ownership could be a new currency. Check out this owner of top Japan related people to follow. He takes his list quite seriously I’m sure. That said, I would like to see a ‘last updated’ date and twitter list rating system. I want to make sure the owner keeps lists up to date from both adding and subtracting people. I’ve long managed my tweetdeck columns by promoting tweeters from my ‘all follower’ category to one of my various columns. And it is this hard work of setting up a group that always prevented me from moving over to hootsuite. The switching burden was more than I had time for. But with twitter lists – I merely subscribe to the lists and the switching barrier from tweetdeck to hootsuite is disappearing. Well there is. My twitter lists tactics out in the open. I could be right off my twitter rocker so tell me your thoughts and deep strategies. This entry was posted in How to, twitter and tagged hootsuite, list owners, tweetdeck, twitter, twitter lists on December 10, 2009 by Laurie Dillon Schalk. TechCrunch writes about Bit.ly overtaking Digg. Great reading. Bit.ly is a URL shortener used for twitter. As you are likely aware, twitter only takes 140 characters so shortening URLs is used quite often in twitter. Digg on the other hand, is a very web 2.0ish news service where by the readers rank the popularity and importance of a news article. [incidentily, internet user ‘ranking’ is a key feature in consumer contributed information – one that will increase its presence on sites]. In days of old (which means two years ago) Digg had an ability to identify news of growing importance. Yet with the exponential growth of twitter and the subsequent use of bit.ly to shorten urls, Bit.ly has overtaken Digg in identifying top trends. This entry was posted in bit.ly, meme, twitter and tagged bit.ly, digg, trends, twitter on June 30, 2009 by Laurie Dillon Schalk. Need to understand twitter? How to use it, grow it, what the key features are? Def’n: Twitter is, as twitter says, a free social messaging utility for staying connected in real time. Messaging – referred to as “micro-blogging” since all posts/updates [called ‘tweets’] are 140 characters or less. Connected – in twitter, its pretty simple. You follow people [following] and people follow you [followers]. Some people get >10,000 people following their tweets. Oprah, for instance, has over a 1MM followers. Some aim to follow just as many – how they do it, I don’t know. Real time – this is a *huge* differentiator for twitter in the social media world and what is driving a key trend and expectation in internet use. Twitter offers as close to real time as it gets – giving out a constant stream of small information updates as people post them kinda like a ticker tape of valuable post-it notes from people you like to follow. Your address in twitter starts with an “@” sign. Mine is “@ldillonschalk”. When you tweet, to address the tweet to someone specific, you use the “@ldillonschalk” prior to the message. You can also use “@ldillonschalk” in the middle of the 140 characters too. The difference results in who can see your tweet. The former allows anyone who also follows “ldillonschalk” to see the tweet. The latter allows all your followers to see the tweet. Retweeting – “RT”. When you see a tweet message that you like, you can ‘retweet’ it or forward it to your own network by retweeting. Creating a profile – under settings, make it complete! Choose a memorable username to help people remember who the tweet is coming from. Easiest is your name. I personally want to follow people not organizations so I tend to look for individuals. Add a picture. Dont’ be shy. But use the same picture across all your social medias so that your ‘brand’ is consistent and recognizable. Exception can be facebook – where I use a different picture because I don’t mix my facebook with my professioanl life. Don’t change the picture too often – like once every few years. Personally – I think the picture should be professional, personable (smile), fairly close cropped head & shoulders and generally represent what you look like today (so no pictures that are over five years old showing a slimmer, more tan, or younger you). Be real. No picture of kids – save that for facebook. Add your one line bio and chose your words wisely. One big way people decide whether or not to follow you is by reading your short blurb that pops up when hovering over your photo. I like to see topics people tweet about and their roles (e.g. consultant, father of two, banker, etc). How do you know who to follow? I started with people that I know, admire and love learning from. Now I worked at IBM so finding great tweeters was easy for me. But having come from the home building industry where the vast majority are still not on facebook, linkedin, let alone twitter, I could see the challenge in following. So from housing, I looked to my ad agencies or interactive partners – again, people I admired. I also am in a social media group on linkedin – upon which people started sharing their twitter addresses. I’m not suggesting you sign up to this social media group – on the contrary – look for groups and people that you like to learn from relevant to your sweet spot. If that’s business great. or it could be gardening, or golfing or whatever you want to follow. How do you get followed? Follow people and they will follow you. There is a general etiquette around following – most people will follow you back. Likewise, people who find you first do expect you will return their follow. There are twitter ratios that highlight your friends vs. followers assuming that closer to 100% is better. That said – I think its okay to be selective about who you follow. Like linkedin, I don’t want a whole bunch of crap contacts of people solely interested in gaining a useless metric. See my twitter stats below from mrretweet. Tweet value. If you add good information, it will get retweeted. Retweet and engage with people you follow. Self promote – add your twitter address to facebook, linkedin, to your website, add to blog posts (e.g. are you following me yet?) Answer linkedin answers and leave a twitter address. etc..
How can you manage this stream of information? Its bloody hard work to follow twitter. When I sit down, its for 1 -2 hours because I’m active. I click on links, I read blogs, I comment and retweet. Like many people, I use tweetdeck – which is a separate website (free download application to be precise) that helps to manage all your tweets. I create groups of people – my close friends, my “a” list of people I really like, my ‘all friends’ category which I watch so I can move people into my “a” list and then some groups based on subject matter. Is there value in doing all this? Well yes and no. Garbage in = garbage out. Twitter is what you put into it. It is an investment and the opportunity is to get connect with like minded individuals which can lead to friendship, money, respect, whatever. Right now I am learning. I now have about 200 people feeding me on topics that I love reading about. I’ve always been a very good researcher and my facts and stories were the cornerstone for a lot of my consulting work. But finding the research, the stats, the case studies was always a lot of work. Now I get fed this research and what I love about the internet is that there is always someone smarter, early adopting, knowing than me (and I’m also smarter, early adopting, etc than someone else). The downside is that I get into this mentality of receiving. and I need to step back and think about my focus, what I want to learn and what I see happening in market. There is a lot of clutter online including twitter. Sharon Hayes, see below, talks alot about the value twitter has brought to her. Check it out. There is a heck of a lot more to learn about twitter. One person that I really enjoy following & reading blog posts from is Sharon Hayes. Her posts are incredibly well thought out and well written on a variety of social media topics. In particular, I read her twitter posts as she really understands how to build and extract value from twitter – which is not easy to get to without some time investment. Consider reading up her on a recent post “How to avoid the #followfriday problem” so to help identify other people that you should follow. Hope that helps. By the way – are you following me? This entry was posted in housing / home building, How to, metrics, social networks, using social media in job search and tagged home building industry, How to, twitter on June 14, 2009 by Laurie Dillon Schalk. Horray! Forrester Research is following my tweets! Okay – now its confirmed that I’m a nerd. I feel so excited that Forrester is following my tweets – which is mostly made up of my blog post headers & links AND – they are following my tweets before I am following theirs – so in twitter fashion, I am invited to follow them. tee hee. I’ve always enjoyed Forrester reports and lamented my subscription loss when IBM changed its subscriptions (long story – my division started reporting to a technical division due to our work in emerging tech and despite being a management consultant/marketing strategist in need of research, subscriptions were only given to consultants in the business side. Ah, the process mistakes of a big company vrrr). Today – I am armed with the blogs and so enjoy Forrester again. I can’t find the current no. of twitter users (without spending a lot of time on google) but in Jan 2008, twitter facts identified 450,000 active users. Well that was a year ago. But that makes me [5,538/450,000] among the 1% population being followed by Forrester. Cool. I wonder if tweet subscriptions are automated. If I mention two analysts names in blog posts, do I get followed? Hmmm.. that would lessen my excitement. I’d like to imagine a jr analyst jumping up and down discovering my tweets saying we must expand from 5, 537 to 5,538! Currently there are 14, 381 people following forrester. And.. are you ready? Seeing as I only started being an active tweeter four weeks ago – I have a total of 17 followers! (including Forrester). This entry was posted in Forrester, twitter and tagged followers, Forrester, twitter on May 7, 2009 by Laurie Dillon Schalk.